Alright so lobster ain’t cheap, I get it. HOWEVER, hear me out. I am from a small town not far from the marvelous establishment of Kelly’s Roast Beef on Revere Beach in Revere, Massachusetts. About 20 minutes north of Boston proper, Kelly’s is an old time establishment with a famous reputation. Serving Massholes since 1951, Kelly’s is also my first stop home on return trips to MA, and if you time it just right, their famous lobster roll is very economical. For $17.95, you get the meat of two 1 lb. North Atlantic Lobsters packed into a warm, buttery hot doll roll. This is 16 ounces of the freshest lobster you can ask for. It comes out overflowing and I can’t even. Comes with bag of chips and the essential pickle. LOCAL TIP: ask for a second bun. 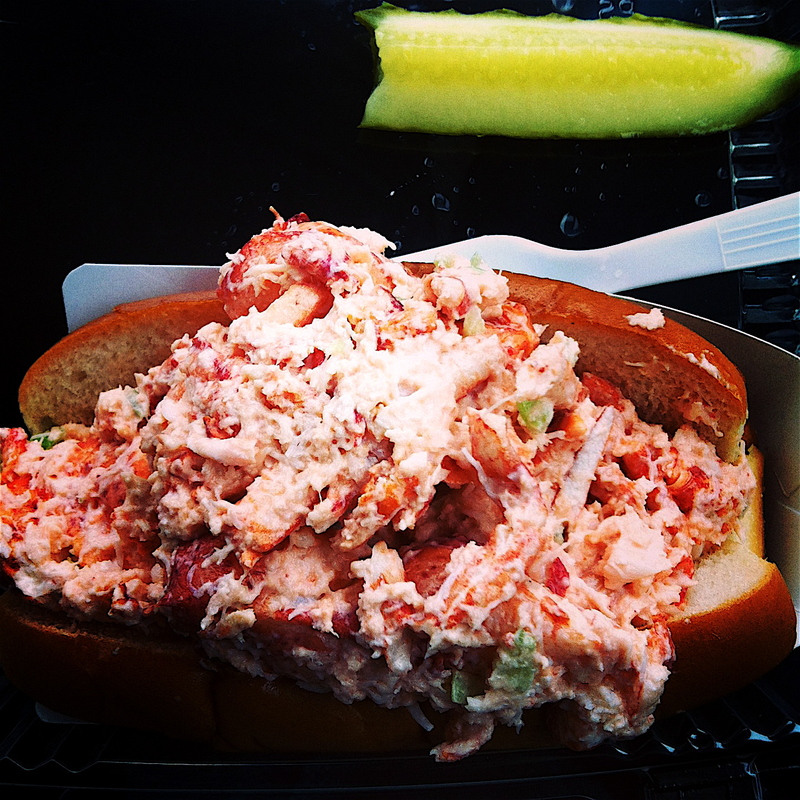 You now have two sandwiches, which means lobster salad for lunch AND dinner. That’s your whole day. And oh my lanta is it worth a trip up North.